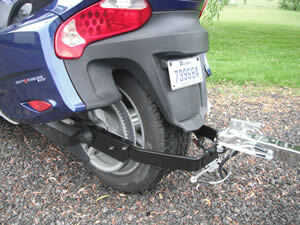 Brand New Bombardier Can-Am Spyder RS and GS Trailer Hitch. 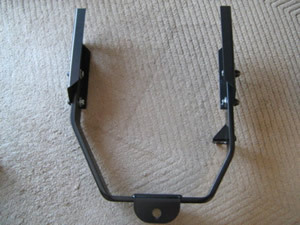 Manufacture with solid steel and Powder Coated in flat black. 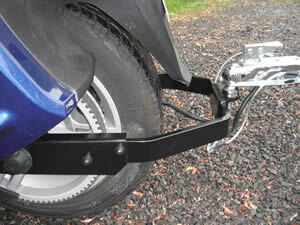 The Hitch comes with the side plates that once installed will remain on the Spyder but allows an easy removal and re-installation of the hitch. It also comes with the bracket to hold the electrical plug (Electrical plug sold separately). Free Shipping to Canada or USA (Lower 48) , Except Hawaii, Puerto Rico and Alaska. We can ship worldwide, contact us for a shipping rate. ORDER NOW… CLICK HERE ! 5- Take the spacers off on each side and replace them with the side plates. Note there is a left and right side. 7- Bolt in place the U-Shape hitch using the hardware included in the box. 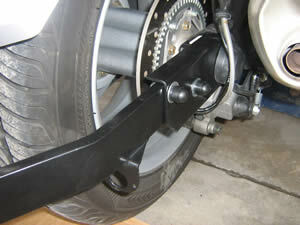 Insert the bolt from the inside out and once it is bolted in place, install the plastic nut cover. 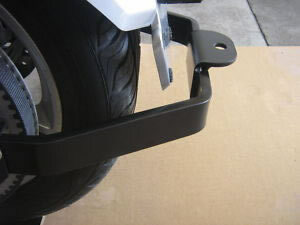 Manufacture with solid steel and Powder Coated inÂ semi-gloss black. 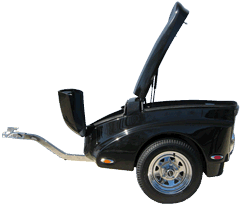 I purchased a Trekker Trailer in Moscow Mills, MO on June 5th, 2007 on my way to Nashville TN. It was a GREAT trip and I absolutely love that trailer. It is AWESOME. I pulled it with a 2007 Harley Davidson Dyna Low Rider I purchased on May 12, 2007. 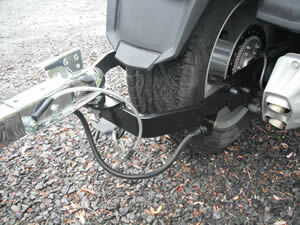 I’m writing to tell you how much we are enjoying our Trekker Trailer. Keep on doing what you do guys, we are very satisfied! We are 4 good friends and so far we have 3 Trekkers. 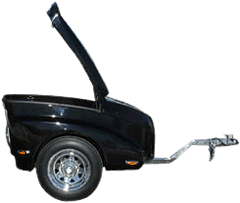 I like to thanks everyone for the extra time and effort to get our trailer delivered on time. We received the trailer late Friday afternoon on the 18 of august and had it ready to roll by about seven o’clock that night. We started our trip to San Francisco on Saturday morning in the bright sunshine.